Wecooker Stainless Steel 4 Burners Gas BBQ Grill delivers a total of 60,000 BTUs with four stainless steel 12,000 BTU main burners and a stainless steel 12,000 BTU side burner. This grill has a 608 sq. inch total cooking area and 28 burger capacity. Its other features include Stainless Steel Cooking Grates, a Stainless Steel Warming Rack, and an LED illuminated control panel that makes it easy to see the ignition knobs. This lid is Double-walled to minimize the heat loss and improve the cooking efficiency of the burners. We have Burner Gas Grill from 2-6 for chose, and also have Nature Gas BBQ for optional. Side burner: SS#430 burner ,12000BTU. Cooking grid: Porcelain cast iron. Cooking area: 27.0" (L) x17.0" (W). Warming area: 26.7" (L) x6.5" (W). Overall Size: 55.3"(L) x 22.8[(W) x 47.7[(H). Looking for ideal 4 Burners Stainless Gas Barbecue Grill Manufacturer & supplier ? We have a wide selection at great prices to help you get creative. All the High Quality Stainless Steel BBQ Grill are quality guaranteed. 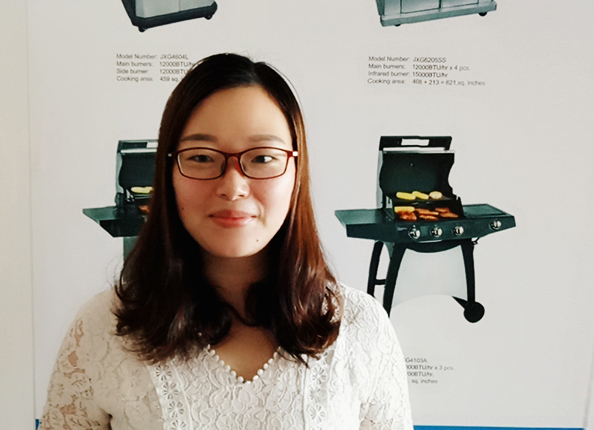 We are China Origin Factory of Outdoor Picnic Gas BBQ. If you have any question, please feel free to contact us.